The small, lightweight design offers high-capacity storage, making WD Elements portable hard drives the ideal companion for value-conscious consumers who want to take their important files with them. WD Elements portable storage comes with a trial version of WD SmartWare Pro backup software, which allows you to back up your files to your WD Elements drive or to the cloud using your DropBox account. When your internal hard drive is almost full your PC slows down. Don't delete files. 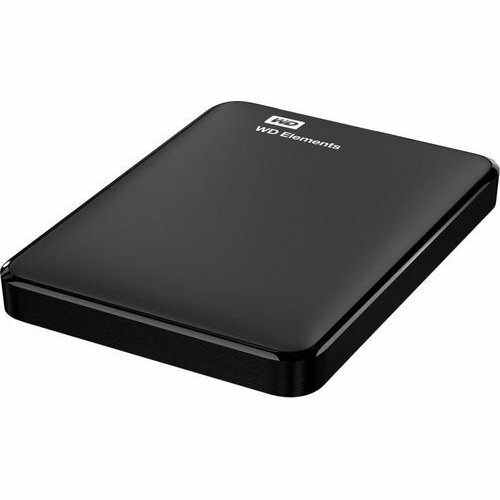 Free up space on your internal hard drive by transferring files to your WD Elements portable storage and get your laptop moving again. Formatted NTFS and compatible with Windows 8, Windows 7, Windows Vista or Windows XP. Can be reformatted for Mac .